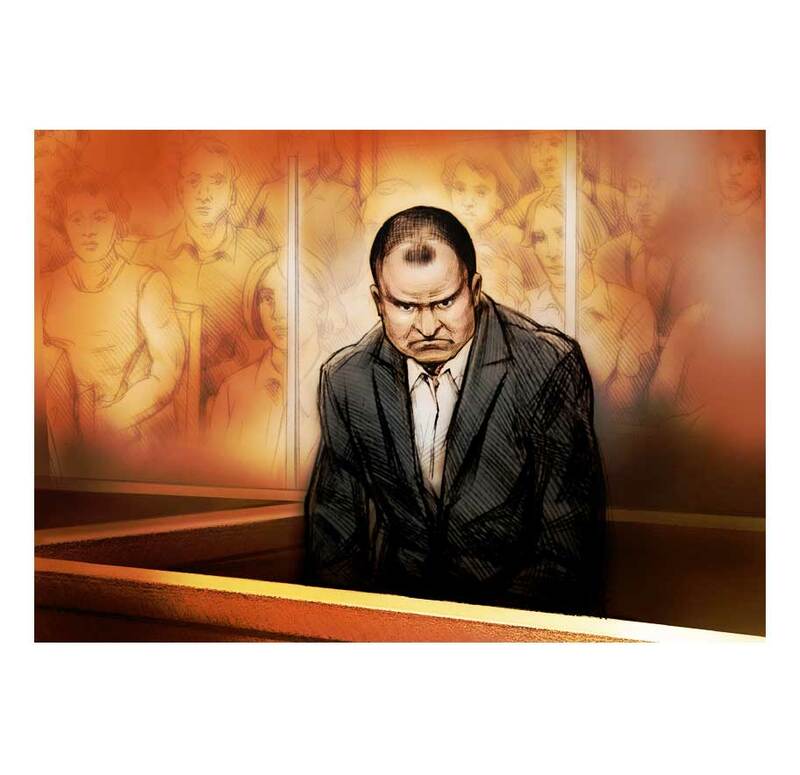 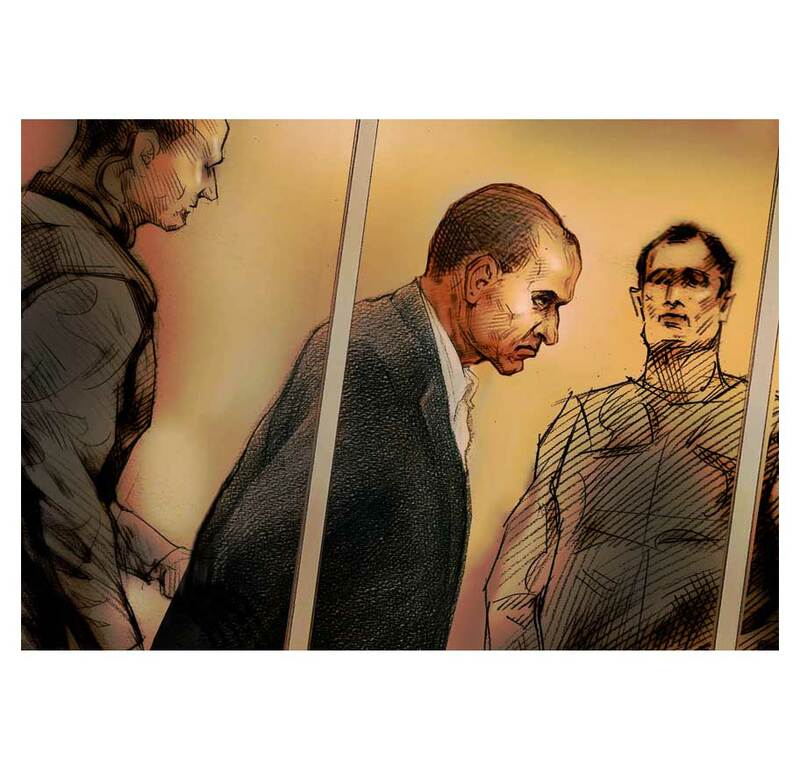 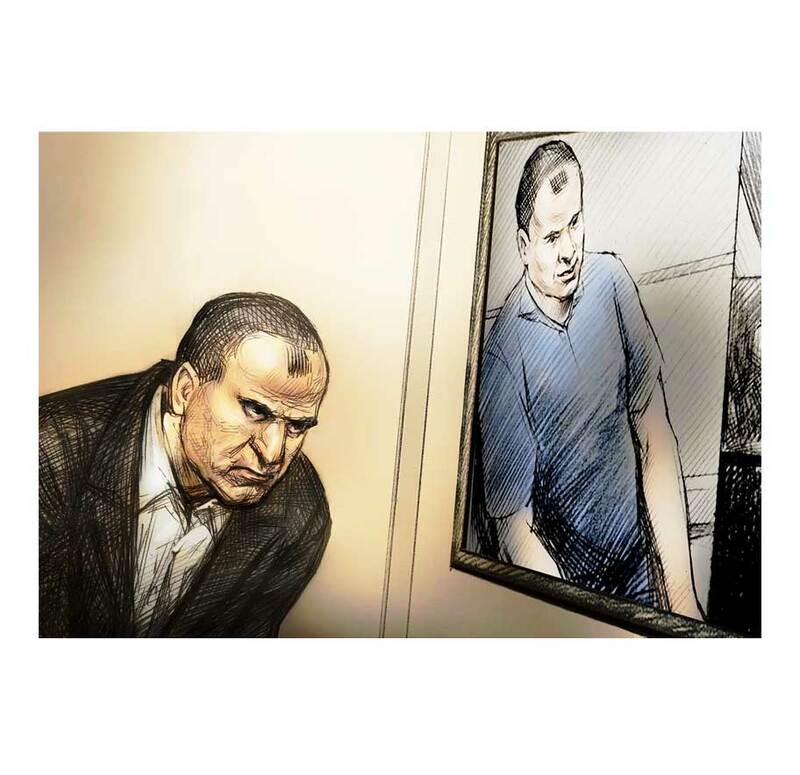 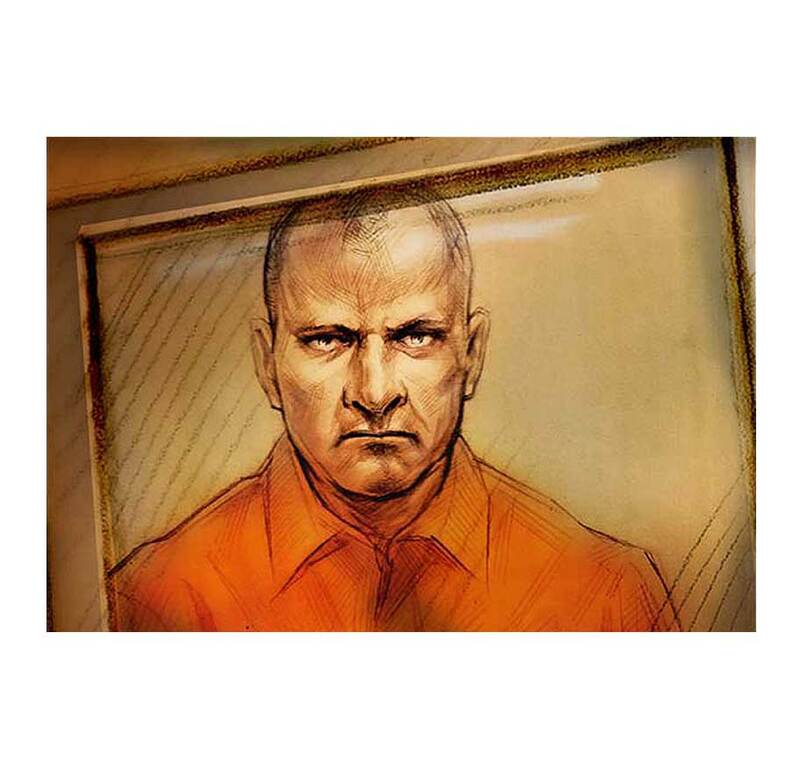 In 2010, Canada was shocked by the crimes perpetrated by Colonel Russell Williams. 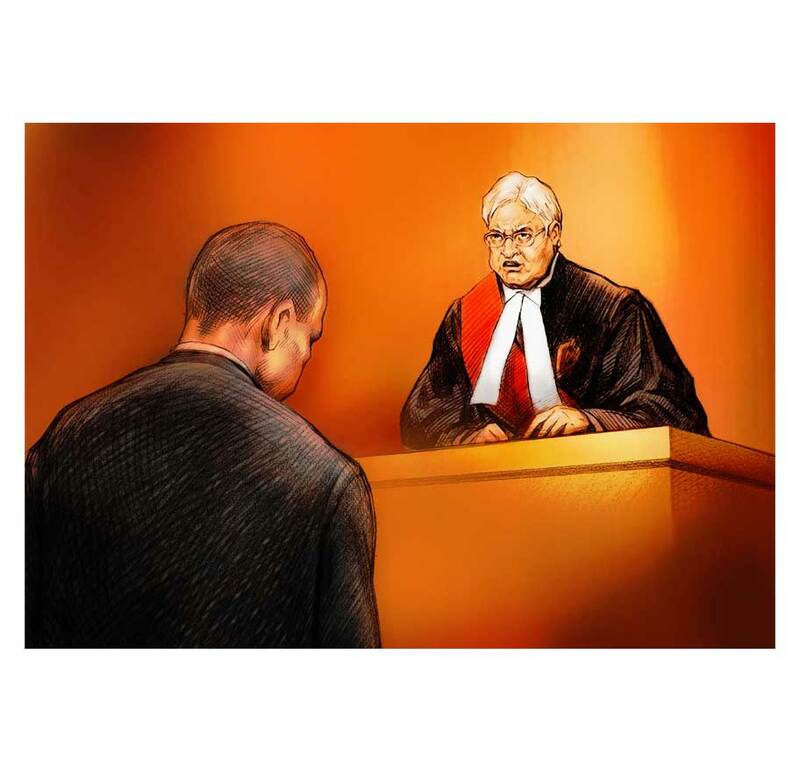 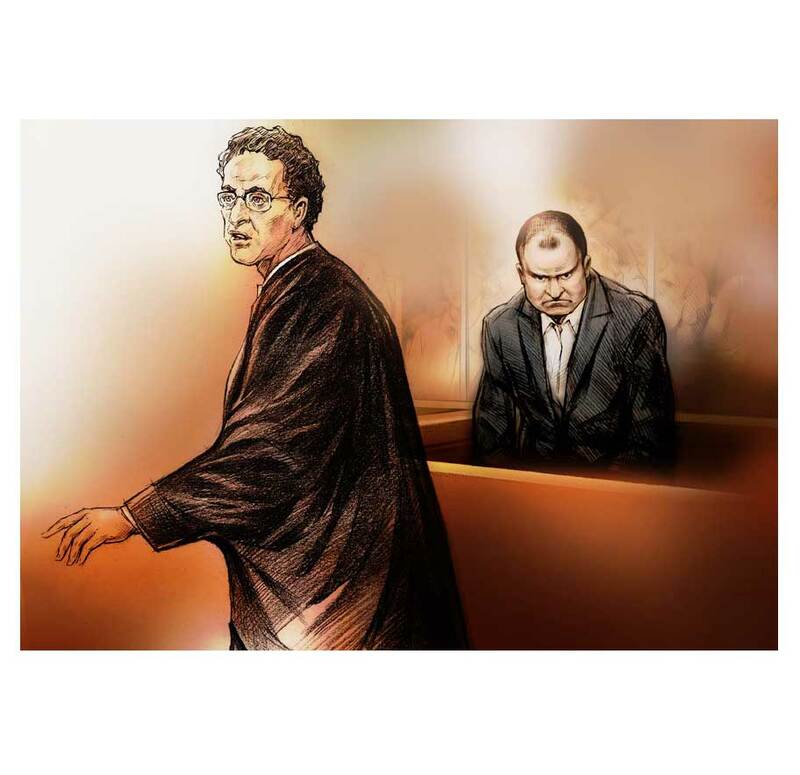 The Williams trial spilled over to the top news lines of international media and dominated Canadian news coverage for its entire duration. 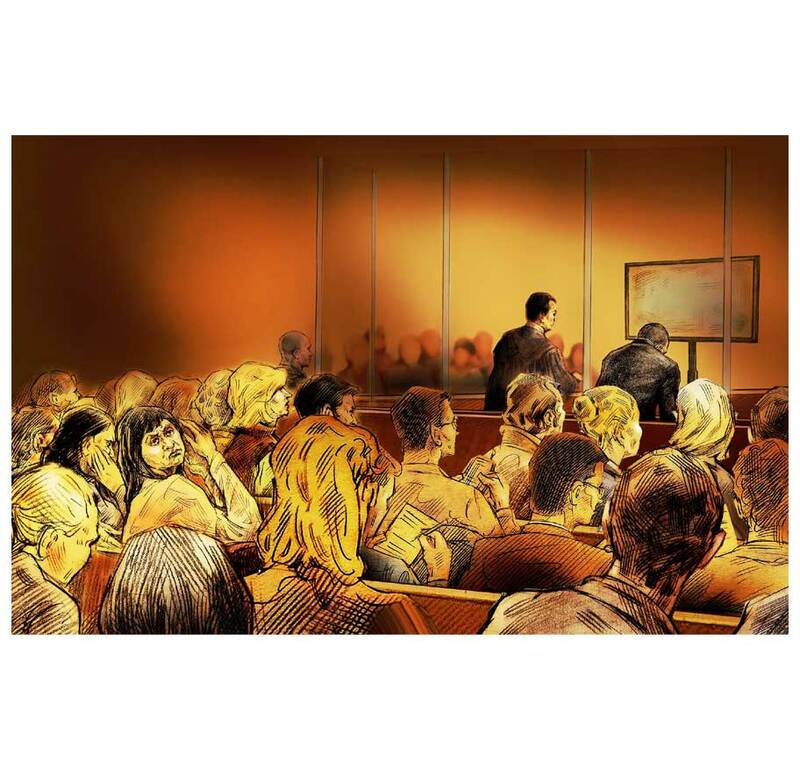 I was illustrating every appearance of Colonel Williams in court, including his four-day sentencing procedure. 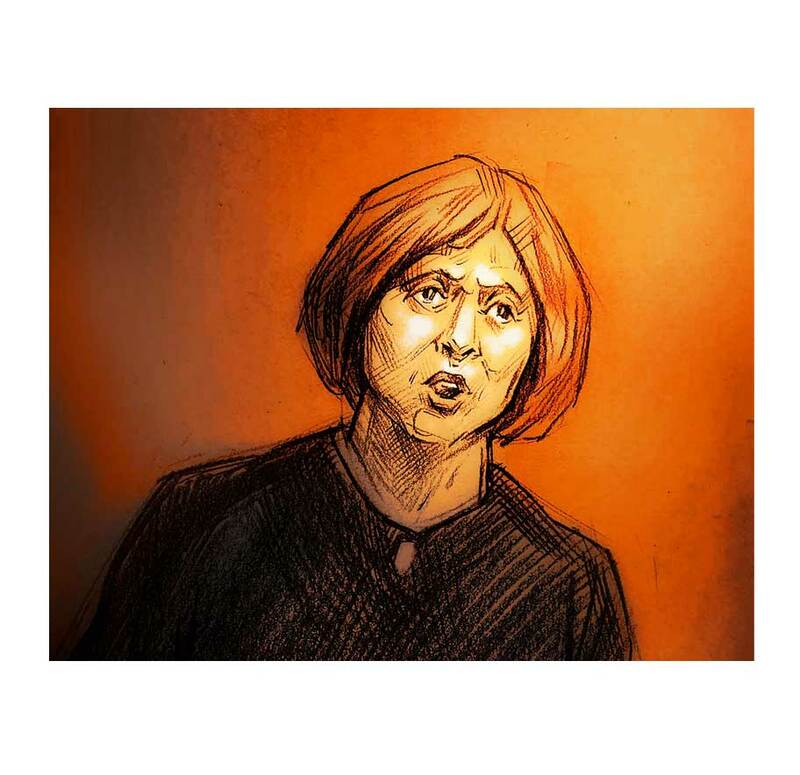 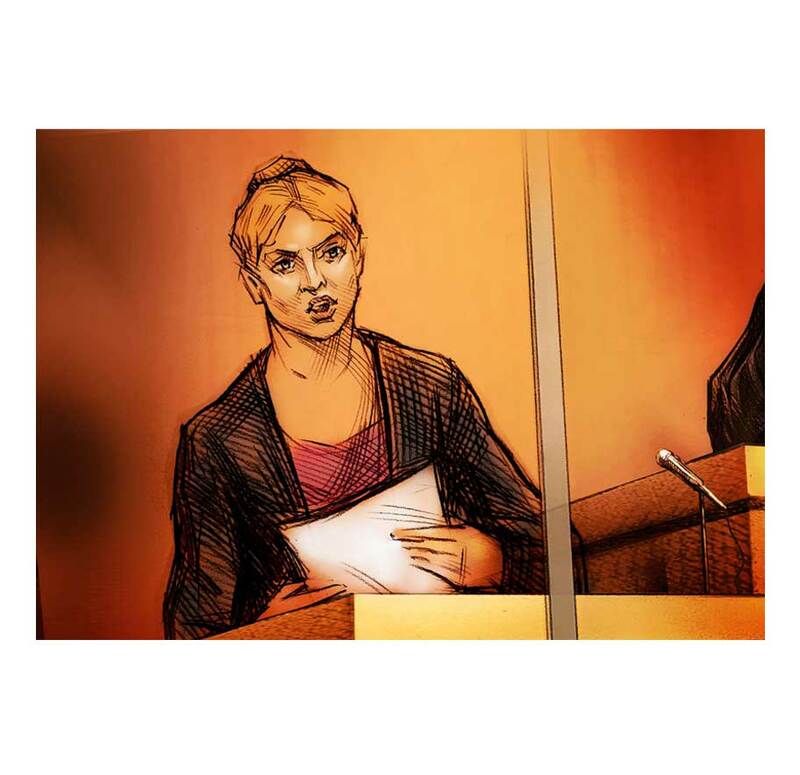 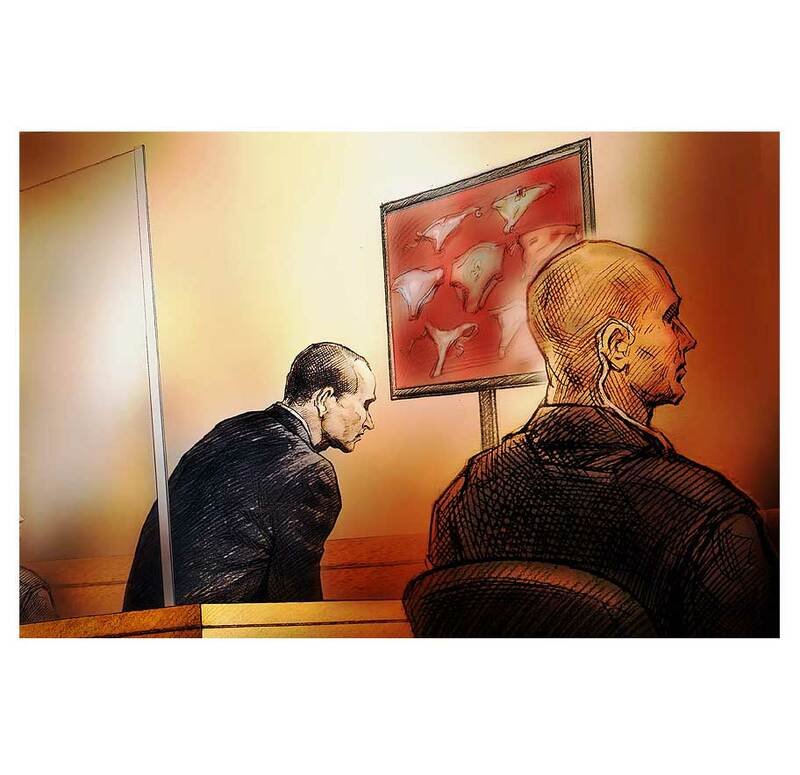 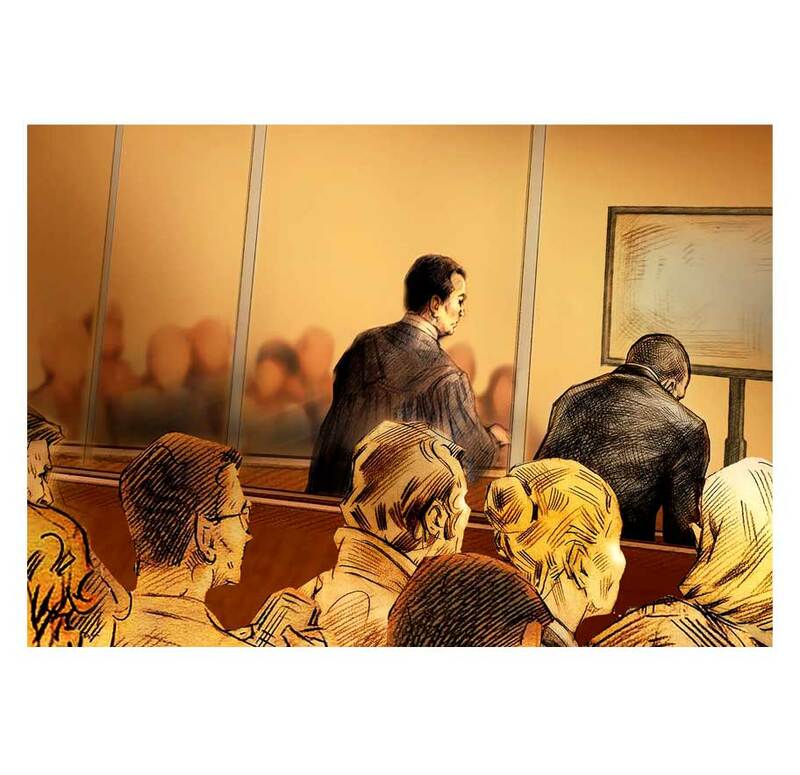 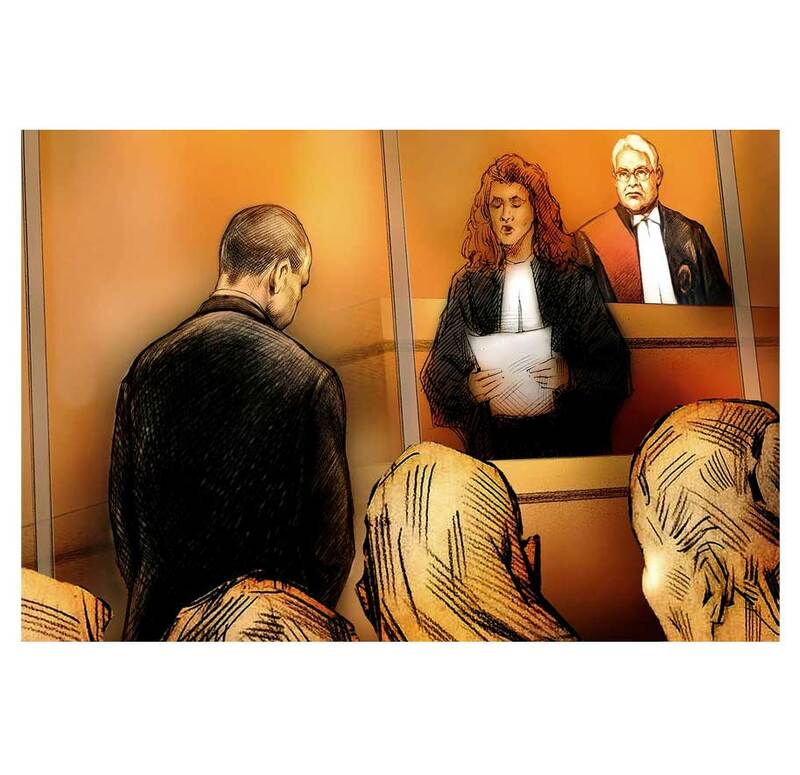 My drawings of this trial were published worldwide, including in CNN broadcasts and on French TV Chanel M6.